I can’t even remember the last time I had Chinese food, which is sort of sad, but I love the fact that it’s so easy to make food that tastes like take-out at home. 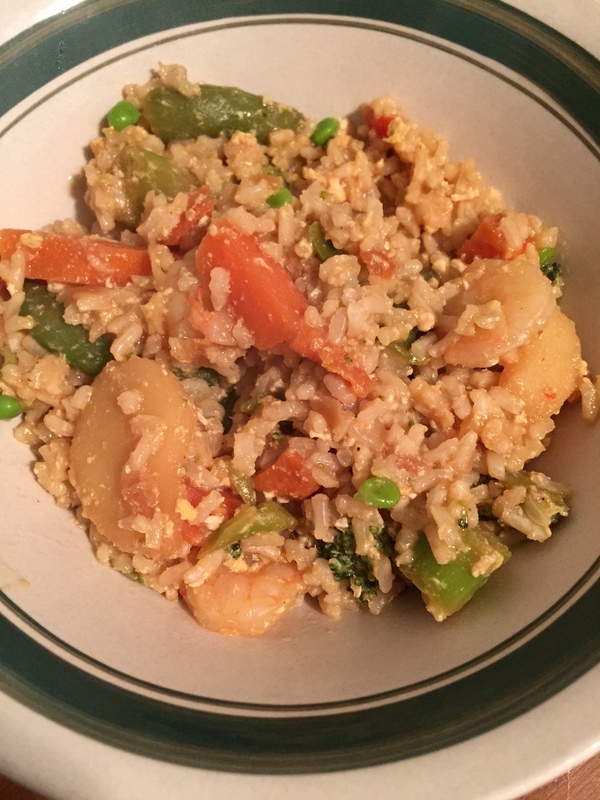 One of my favorite things is fried rice, so I decided to whip up some at home. 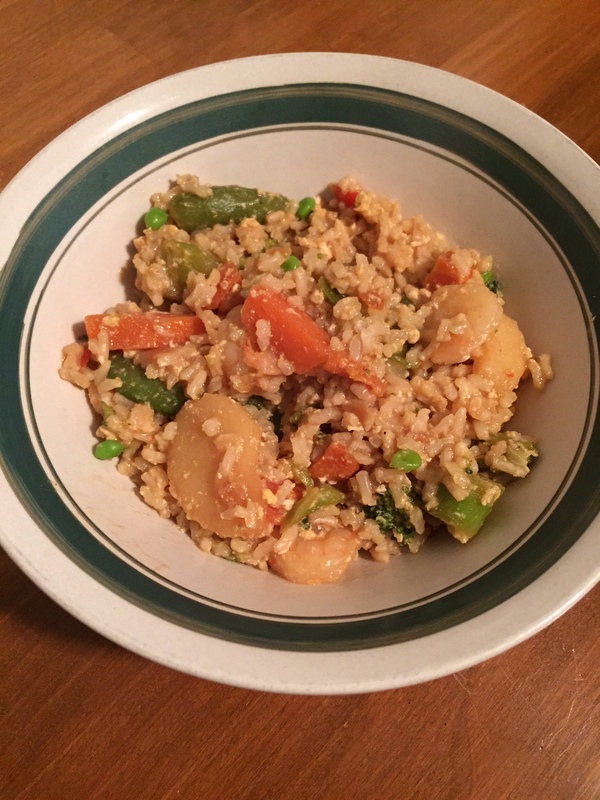 I bumped up the nutrition factor by using brown rice and adding tons of veggies. 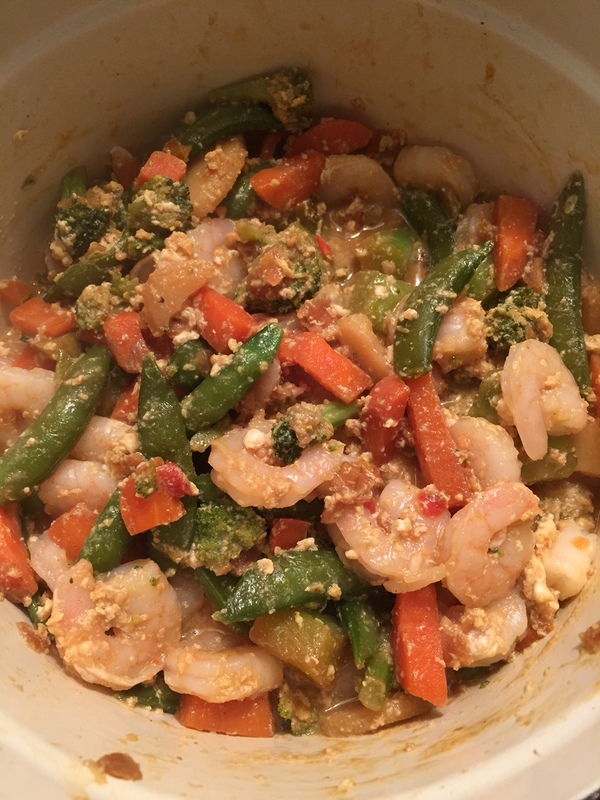 I used shrimp for protein, but you could also do chicken or pork or beef. 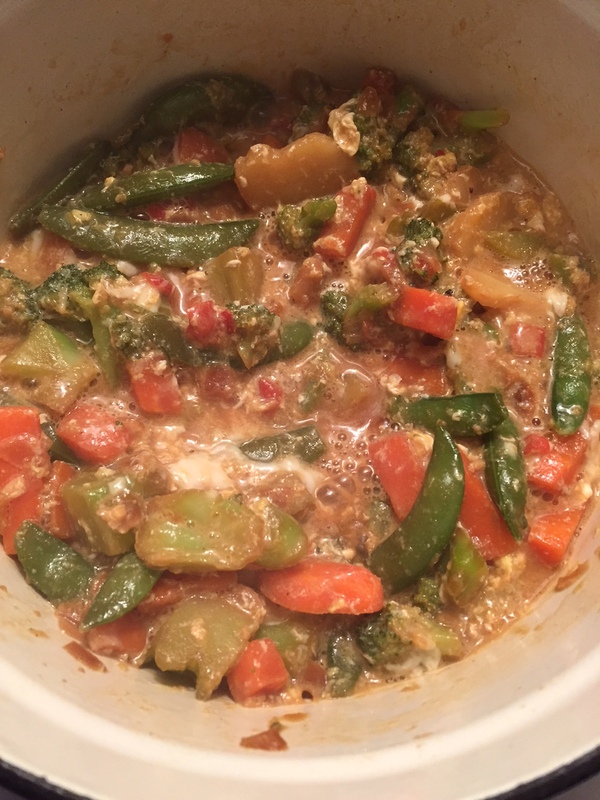 It’s such a versatile dish too, so feel free to add any extra veggies or other ingredients. 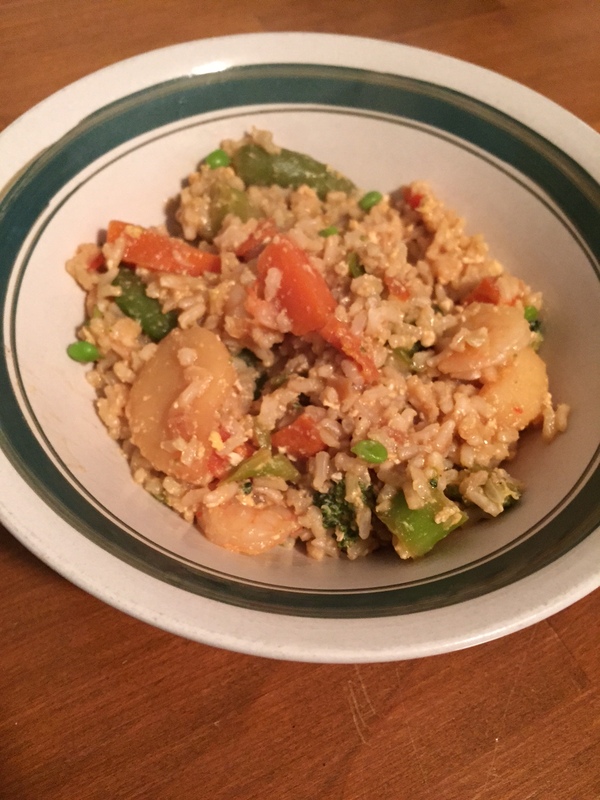 So quick and easy and much better for you than actual take-out! 1.) Cook rice according to package. Defrost shrimp. Meanwhile, in a large skillet or dutch oven, add olive oil and heat on medium. 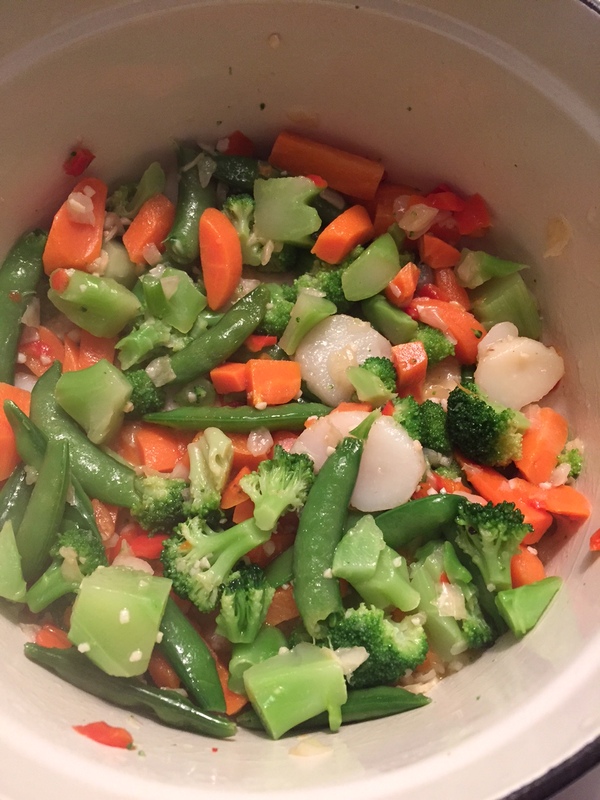 Add garlic and saute for about 30 seconds, then add bag of steamed stir fry veggies (or veggies of choice). 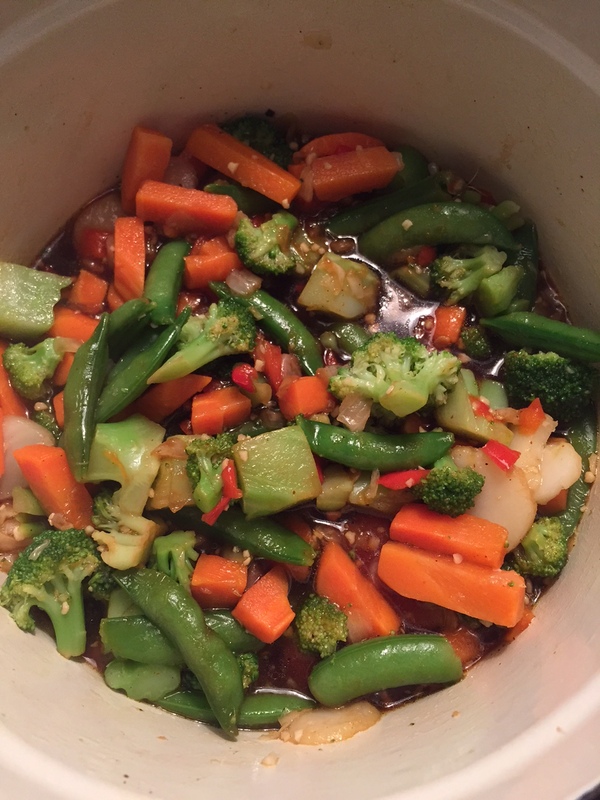 Cook for about a minute with the garlic, then add the soy sauce and stir. Let simmer. 2.) Once soy sauce is simmering, add the two eggs. Stir everything together to scramble the eggs with the veggies. 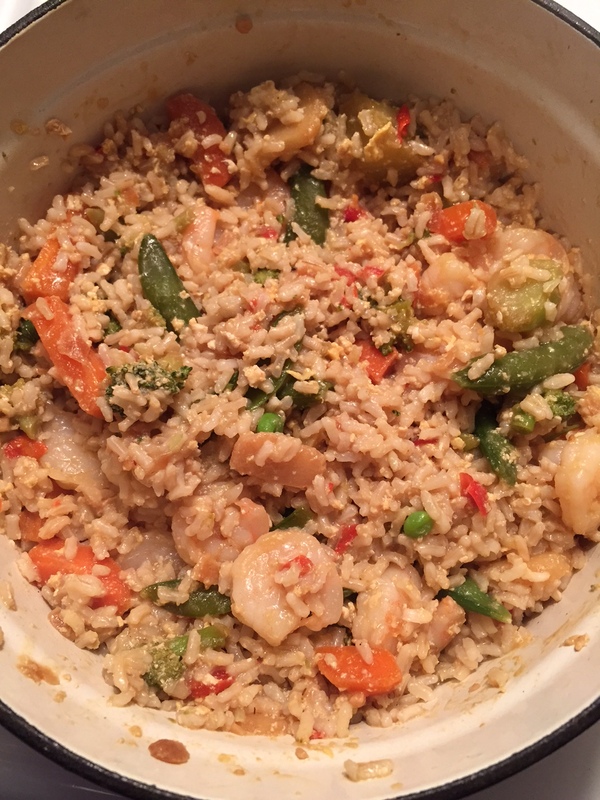 Then add the shrimp and rice and stir everything together. Enjoy!